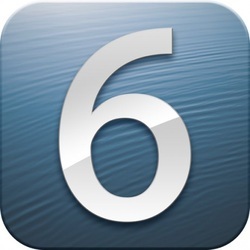 Welcome to the future, iOS 6, It brings many new features including Siri on the iPad! Siri has been greatly upgraded and includes more languages. It is also finally available on the iPad 3rd generation. Facebook now has integration, just like Twitter. Now, from notification center, you can post or tweet anything you wish. Siri can also post or tweet for you. Apple has taken the initiative of making their own maps application. Most can agree that it needs help. They should've kept Google Maps until it was golden.